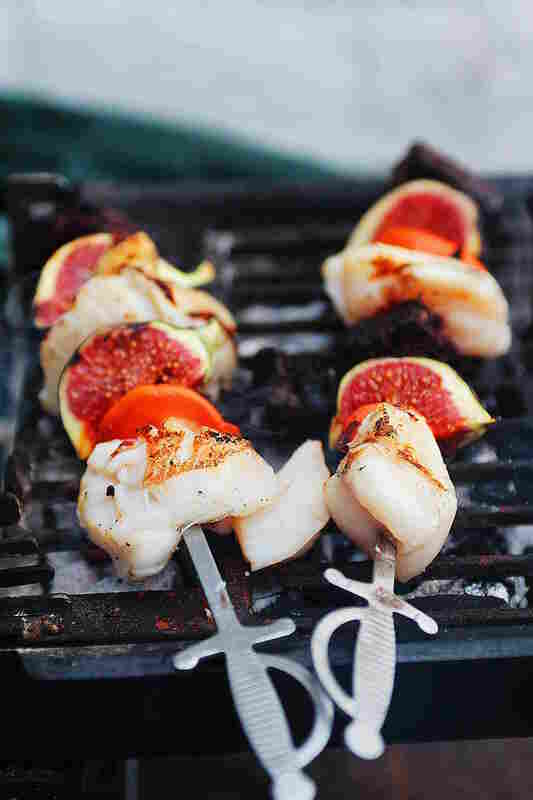 This skewer recipe utilizes the well loved pairing of scallops and black pudding, with the less common fresh fig, instead of the usual apple sauce, and I have to say it’s a bit of a winner. 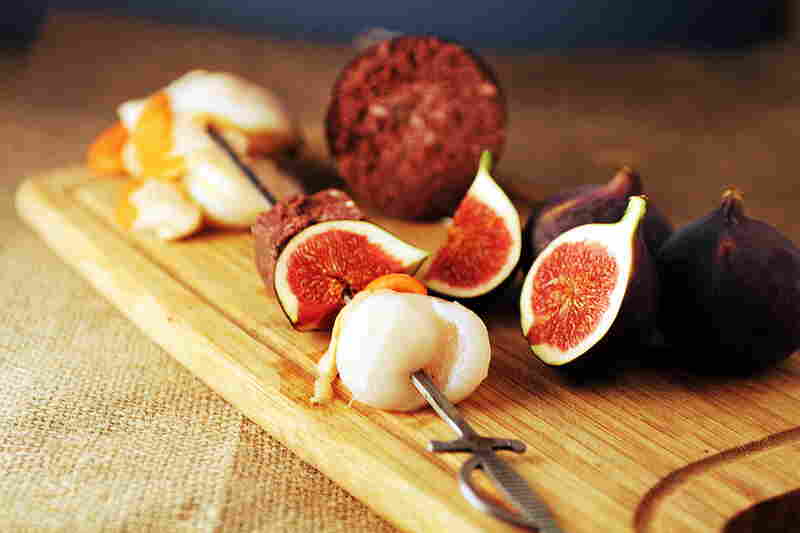 Figs are wonderful and in season at this time of year. 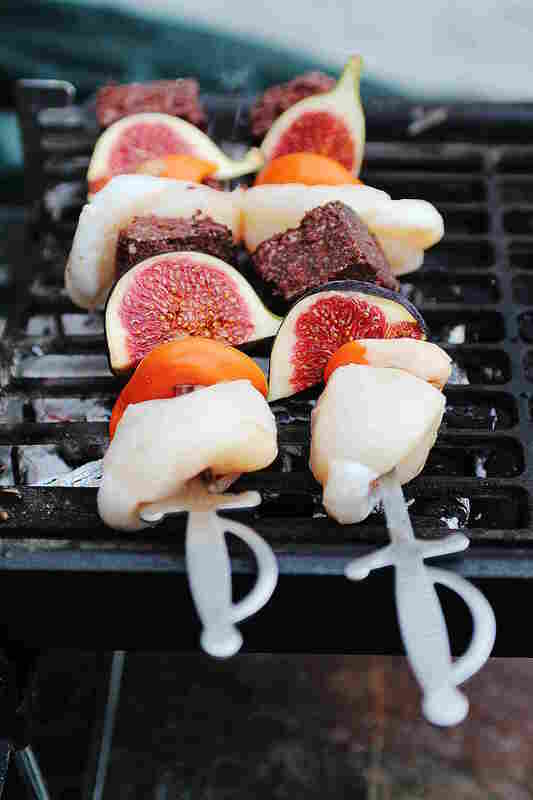 Simply skewer alternately plump scallops, quarters of fresh fig, and cubes of black pudding, crisp up over a hot BBQ grill for a few minutes each side, until the scallops are browned on the outside but still slightly undercooked through, (how I like them best) and the fig and black pudding crisp on the outside. Season with a little coarse sea salt and freshly ground black pepper and a squeeze of lemon juice. I served mine with a crisp salad and a piece of olive oil drizzled bruschetta. The flavours worked perfectly together, sweet plump scallops, crispy black pudding and juicy sweet caramelised fig. Yes Grilled Avocado is surprisingly delicious, you still get the lovely creaminess of the ripe avocado, but the edges caramelise beautifully and add a smoky creamy elegance to the kebab. I used quality chicken breast that I diced into large chunks. 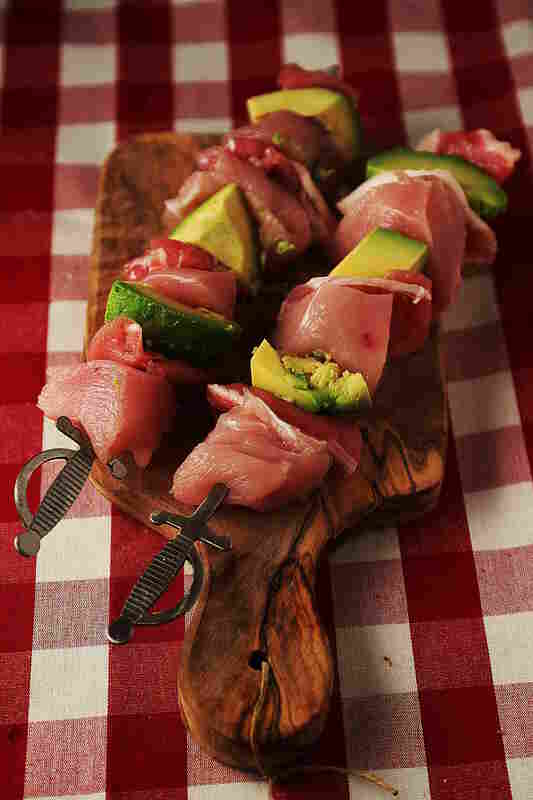 These went onto the skewers, with strips of back bacon, and chunks of the avocado alternately. I cooked these on a red hot grill to crisp up the edges and brushed with chilli jam for a little sweetness until the chicken was cooked through, and only took around 5 minutes on a very hot hibachi grill. © Marcus Bawdon and countrywoodsmoke.wordpress.com 2011-2012. Unauthorized use and/or duplication of this material without express and written permission from this blog’s author and/or owner is strictly prohibited. Excerpts and links may be used, provided that full and clear credit is given to Marcus Bawdon and countrywoodsmoke.wordpress.com with appropriate and specific direction to the original content. Making simple food great, and great food right. 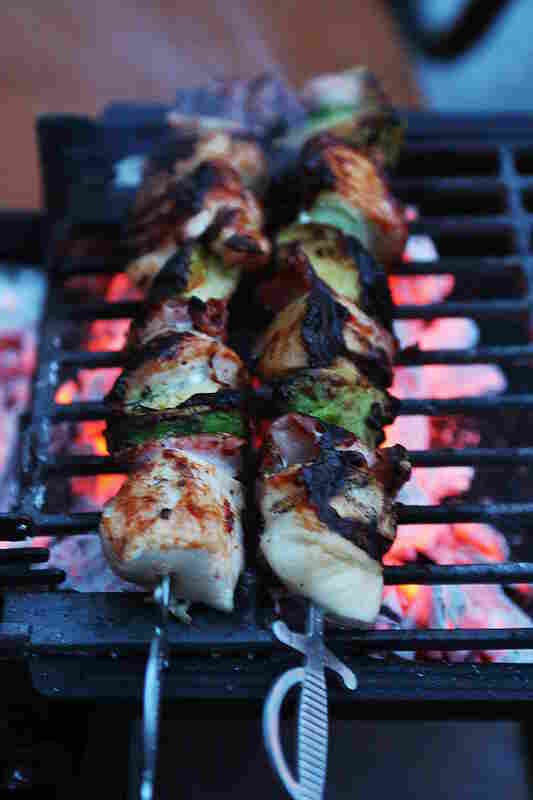 British BBQ- All the best of UK BBQ, Cooking outdoors whatever the weather. An exploration of all things foodie in Gloucestershire!